Statehood under Water es el título del libro de Alejandra Torres Camprubí, publicado hace unos meses por la editorial Brill. En una entrada anterior prometí compartir el prólogo que escribí para el libro. Aquí está, a modo de invitación a su lectura. The compelling title of this book reminds me of the story once told by David Foster Wallace about those two young fishes greeted by an older fish with a “Morning, boys, how’s the water?” The young fishes continued swimming and, after a while, one of them asked, “What the hell is water?” The question urges us to reflect on how we think about things omnipresent, to pay attention to the elements and conditions of our very existence that are taken for granted most of the time and therefore somehow invisible, as it happens with the absence of camels in the Arabian Nights, as reported wittily by Jorge Luis Borges. The allegory chosen by Alejandra Torres Camprubí belongs to such kind of endeavour: ‘Statehood under water’ is not just another international law interpretation of the sinking island image; the author’s sophisticated research defies the ways in which we think about the Statehood in the anthropocene –a powerful word that has encountered her at a late stage of her passionate intellectual voyage to provide a new persuasive contextual meaning to the whole argument. Indeed, her study of the effects of climate change and sea-level rise on the continuity of Pacific Island States reaches beyond the mere rigorous analysis of the crucial challenges facing these particular islands. The book certainly achieves such goal, most significant for the Pacific Island States, but also offers a mature and complex revision of the exclusionary Westphalian theory of statehood and its elements, which I predict will frame quite a few discussions on possible new forms of legal personality in international law, including entities with provocative names such as ‘water states’. With this timely book, Alejandra Torres Camprubí joins the many contemporary scholarly debates on the concerns about the adequacy of international law to face the challenges of the anthropocene. Her careful analysis of different scenarios of partial and total de-territorialization and de-population, together with the concept of governments in exile are exemplary, but do not lead the author to an incautious conclusion. 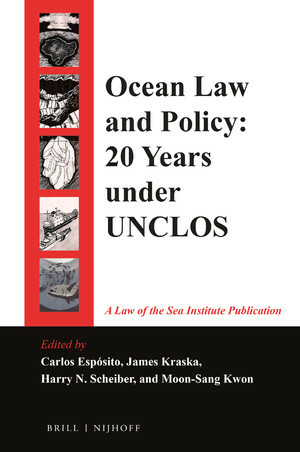 On the contrary, Alejandra Torres Camprubí avoids categorical answers about the continuity of the Pacific Island States, and therefore gives proper consideration and space to the normative evolution of the ‘sinking island paradigm’ and the future legal scenarios of the international law of the anthropocene. 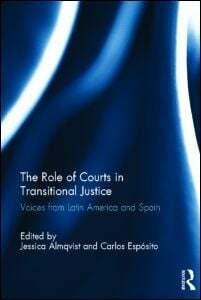 I have been fortunate to witness the birth and progress of this book, which is based on the doctoral thesis that Alejandra Torres Camprubí successfully defended at the University Autónoma of Madrid in 2014. Now, I am impressed by the balanced structure of the book, its refined analyses and learned discussions; most importantly, I am pleased to know that everyone will have the chance to learn from this book and enjoy this momentous scholarly contribution to some fundamental questions of international law. The Centre for the Study of the Legitimate Roles of the Judiciary in the Global Order (PluriCourts, University of Oslo) offers three positions as postdoctoral researcher in international criminal law, international environmental law and international investment tribunals. The information is here. Good luck! The International Environmental Law Interest Groups of the American Society of International Law and the European Society of International Law are delighted to announce that their First Joint Symposium will take place on 22-23 November 2013 at the Graduate Institute in Geneva. The Co-Chairs and Convenors of the Interest Groups join in thanking the Graduate Institute of International and Development Studies and our host, Professor Jorge Viñuales, Director of the Programme on Environmental Studies of the Institute’s Centre for International Environmental Studies, for their kind generosity in providing a venue and refreshments for the Symposium. International Environmental Law is not in the same space that it occupied in 1972 when it burst forth on the international agenda with the Stockholm Conference on the Human Environment. For some time we have been witnessing a fundamental shift in the nature of international environmental law (IEL) from both theoretical and practical perspectives. Many reasons might lay behind this shift. For a start, IEL has had to innovate its way around the “sovereignty barrier” – foundational principles and norms of general international law that continue to uphold a state-based system of international politics and law that is often seen as counter-productive to solving global and regional environmental problems. IEL has done this, in part, through science driven norms, non-consensus decision-making, and a focus on promoting compliance rather than labeling action wrongful with a view to invoking state responsibility. Then too, IEL has experienced “bottom up” influence from developments in national approaches to environmental protection. Increasingly, IEL has adopted of “second generation” national regulatory techniques including the use of markets, flexibility mechanisms, and privatization. In addition, the underlying reality, which IEL is trying to co-ordinate and steer, is changing. The reality of significant environmental impacts associated with global markets and international investment flows appears to call for a more normatively expansive and inclusive approach. The increasing influence of host of non-state actors such as transnational corporations and expert non-governmental organizations raise questions about participation in and the legitimacy of decision-making and compliance processes. An emerging new approach to IEL ought to enable us to understand the way various types of soft norms and non-state action influence (or not) the behavior states and key actors beyond states. In this context, most pollution and conservation problems need to be addressed outside of the traditional state system, in what is increasingly described as a multi-level governance framework, with various types of actors having an influence how these norms develop and are supervised. 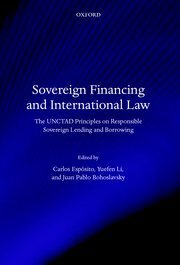 Environmental law approaches and methods have become globalized in various ways, not only by states borrowing from other jurisdictions, but also because e.g. multilateral environmental agreements MEA’s harmonize the way environmental governance is done in various jurisdictions. These environmental law principles and approaches not only travel between national jurisdictions but they also migrate between various levels of governance. At the same time these macro changes have been influencing the nature of IEL, the approaches to and practice of IEL by the United States and European states is also shifting. Due to their environmental footprint, their economic and geopolitical power, and their technological and financial resources, the US and the EU have a critical impact on the world’s environment, as well as a distinctive ability to shape global environmental politics. Meanwhile, and despite common interests, these two elephants are often said to have developed different approaches to IEL. Notwithstanding strong support for early environmental agreements, the US position over the past two decades has been described as one of disengagement and withdrawal, shying away from binding environmental commitments and favouring unilateral and domestic environmental policies. In contrast, Europe is commonly thought to be a consistent supporter of multilateralism and of legally binding environmental agreements. Additionally, the US and the EU have exhibited marked differences in relation to key IEL principles, from precaution to differential treatment. The aim of the Symposium, then, is twofold. First, it aims to engage in a search for more sophisticated, nuanced and complex approaches to environmental problem solving and underlying theory of IEL based on the changing nature of the field. Following last year’s Rio+ 20 Conference, we are well placed to consider potential paradigm changers, including whether the concept of sustainable development is still the best idea around which to organize legal protection of the global environment; whether alternative concepts/models might be more effective in stopping environmental harm and improving environmental quality; whether the current preoccupation with “implementation” best serves global environmental protection; and whether international law is up to the regulatory challenges posed by continuing world population growth and increasing consumption. Secondly, the Symposium also seeks to intensify the transatlantic debate about these important questions, as well as to bring experts from various disciplines and backgrounds to discuss cutting-edge research in the field of IEL. As President Obama begins his second term in office, it seems an opportune time to not only consider the changing nature of IEL, but also to revisit and explore anew the nature, the extent, and indeed the reality of this transatlantic divide and its significance for the development of IEL. Do IEL scholars make too much of US/EU divergences? How do these divergences manifest in specific environmental regimes? What role, if any, do academic, scholarly or theoretical traditions play in the perception of the EU/US divide? Has the Obama administration worked to widen or narrow this divide? The Co-Chairs and Convenors cordially invite the submission of proposals and abstracts on the theme of The Changing Nature of International Environmental Law: Evolving Approaches of the United States and the European Union. Papers presented at the Symposium will be selected through a competitive process. The selection process will be based exclusively on the scholarly merit of proposals received and priority will be given to unpublished papers and work in progress. We welcome proposals from practitioners, diplomats, academics and graduate students that are attentive to one or more aspects of the Symposium theme outlined below. Each submission should include an abstract of the proposed presentation of no more than 700 words in English or French and a short CV in English or French. Applications should be submitted in a WORD or PDF format. They should be emailed to both Alejandra Torres Camprubi (atorrescamprubi@yahoo.es) and Timo Koivurova (timo.koivurova@ulapland.fi). Please indicate “2013 ASIL/ESIL Symposium” in the subject line of the email. The deadline for submission of proposals is Friday, 3 May 2013. The outcome of the selection process will be notified to all applicants by Monday, 3 June 2013. After selection, each presenter will be expected to produce a draft paper by Monday, 2 September 2013 for circulation among the other Symposium participants. It is anticipated that the Symposium will run for one day and a half. It will commence on Friday, 22 November 2013 at noon and will run until 5.30 pm on the first day. It will conclude on Saturday, 23 November 2013, but the day will be full with a 9.00 am start and a 5.00 pm wrap up. The organizers envision a total of six panels – two panels on the first day and four panels on the second – with each panel comprised of four presenters. The contours of each panel will be determined based on proposals and abstracts that are accepted. We believe that publishers will be interested in publishing the proceedings of the Symposium in an edited volume. The organizers reserve the right to publish the selected papers. Before publication, all papers will be submitted to peer-review. For all inquiries, please contact Alejandra Torres Camprubi (atorrescamprubi@yahoo.es) and Timo Koivurova (timo.koivurova@ulapland.fi). The International Union for Conservation of Nature (IUCN) is receiving applications for a position of Environmental Legal Officer in its Oceania Regional Office, Suva, Fiji. The deadline is next 13 March 2013. Here is the information. Seguro que alguno de nuestros lectores estará interesado en el programa del Joint Workshop of the ESIL Interest Groups on International Environmental Law and on International Economic Law on ‘The United Nations Rio+20 Conference on Sustainable Development: Appraisals and Prospects of a Paradigmatic Concept’, que se celebrará en Valencia el miércoles 12 de septiembre (6-8pm, edificio ADEIT, aula 2.4, 2º piso), la noche anterior a la apertura de la 5ª Conferencia Bienal del ESIL. En septiembre de 2009 se creó el Grupo de Interés de Derecho Internacional del Medio Ambiente de la Sociedad Europea de Derecho Internacional (ESIL- Interest Group on International Environmental Law) con el objetivo de abordar la materia desde una perspectiva crítica y multidisciplinar. Un año después se celebró en Cambridge (UK) el primer Workshop del Grupo de Interés sobre “Fairness in International Environmental Law”. Algunas de las contribuciones presentadas fueron aceptadas para su publicación en formato Simposio por el Leiden Journal of International Law (LJIL), que pueden consultar en su último volumen 25, No. 2, de junio de 2012. La semana pasada, el conocido blog de Derecho Internacional Opinio Iuris ha tomado nota de esta primera contribución formal del Grupo de Interés y ha facilitado el debate académico creando el espacio para el intercambio de ideas entre los destacados profesores Eric Posner y Karin Mickelson, que responden así al artículo introductorio del Simposio (‘Against Fairness? International Environmental Law, Disciplinary Bias and Pareto Justice) preparado por los coordinadores del Grupo de interés Mario Prost y Alejandra Torres Camprubí. A los seguidores del Derecho Internacional del Medio Ambiente les recomiendo la lectura de esta primera discusión, caracterizada por su agudeza y solidez teórica. Asimismo, les sugiero seguir atentos a las próximas actividades de este Grupo de Interés, que seguramente mantendrán su compromiso y alto nivel. El próximo 12 de septiembre, el Grupo celebrará su primer Joint Workshop con el Grupo de Interés de Derecho Internacional Económico del ESIL que tratará, como no podía ser de otro modo este año, sobre ‘The United Nations Rio+20 Conference on Sustainable Development: Appraisals and Prospects of a Paradigmatic Concept’. The ESIL Interest Groups on International Environmental Law and on International Economic Law are pleased to announce that the celebration of their First Joint Workshop will place in the afternoon of Wednesday 12th September 2012 (between 6-8pm), that is, the night before the opening session of the Fifth ESIL Biennial Conference, to be held in Valencia (Spain) on September 13-15th 2012. The group convenors hereby invite the submission of abstracts on the theme of « The United Nations ‘Rio+20’ Conference on Sustainable Development: Appraisal and Prospects of a Paradigmatic Concept ». Websites of the groups available at: www.esilgiel.wordpress.com (Interest Group on International Environmental Law); and http://inteurlaw.uni-goettingen.de/esil-iel/ (Interest Group on International Economic Law). Twenty years after the 1992 Rio Summit on Environment and Development and ten years since the 2002 Johannesburg World Summit on Sustainable Development, the international community will again gather between the 4th and the 6th June 2012 in Rio de Janeiro (information available at: www.uncsd2012.org). The objective of this major meeting is to renew and secure political commitment on sustainable development, a paradigmatic concept which has both driven the exponential normative development of international environmental law while also virtually becoming the main framework of global politics for development of the last decades. As it appears in the preparatory work of the Rio+ 20 Conference, the summit will expectedly focus on two themes: green economy in the context of sustainable development and poverty eradication; and institutional framework for sustainable development. Departing from a discussion on the outcome of the Rio+20 Conference, this Joint Workshop will seek to undertake a comprehensive analysis of the concept of sustainable development. We therefore invite the submission of abstracts which: 1) appraise the historical process of implementation of the concept of sustainable development, exploring its prospects and future evolutions; and/or 2) propose a critical approach to the notion of sustainable development, reflecting about the possible inherent and unveiled shortcomings of the concept. The event will be open by the impulse statement of an invited speaker. It will then be followed by three paper presentations selected out of this call for papers which will compose one single panel. A prominent scholar in both fields of International Environmental Law and International Economic Law will conduct the Joint Workshop. Papers presented at the workshop will be selected through a competitive process. The selection process will be based exclusively on scholarly merit and priority will be given to unpublished papers and work in progress. We welcome proposals from professionals, academics and graduate students, and remain open to proposals which may challenge the importance given by this workshop to the notion of sustainable development as a central issue in the future development of IEL. – An abstract of no more than 400 words in English or French. – A short CV in English or French. Applications should be submitted to both Peter-Tobias Stoll at PT.Stoll at jur.uni-goettingen.de and Alejandra Torres Camprubí at atorrescamprubi at yahoo.es, in WORD (version 1999-2007) or PDF format. Please write “Proposal 2012 Joint Event Workshop” in the subject of the email. The deadline for submission of proposals is Monday, 23rd April 2012. The outcome of the selection process will be notified to all applicants by Monday, 14th May 2012. After selection, each presenter will be expected to produce a draft paper by Monday, 16th July 2012 for circulation among the other workshop participants.